Get romantically involved with Louisville Ballet during the 2018-2019 Season of Romance! Enjoy lunch and conversation with local and visiting artists, musicians and designers for a special behind-the-scenes look at background details and inspiration for our productions this season. Each ticket includes one buffet-style lunch provided by Treyton Oak Towers. 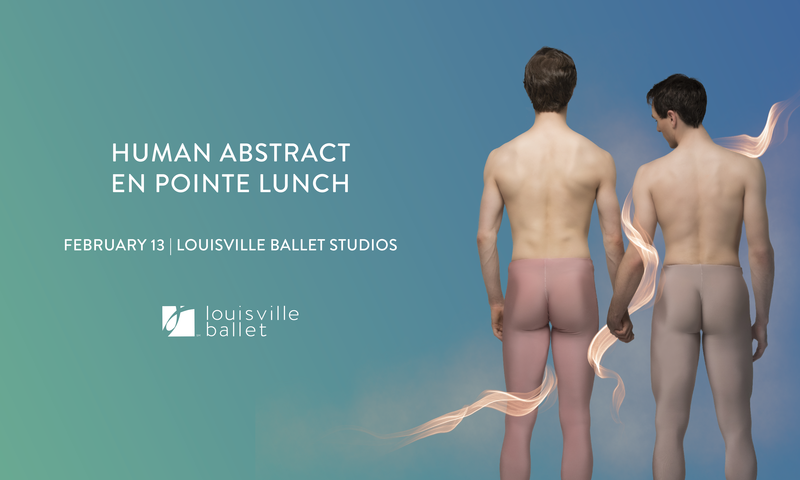 The Human Abstract En Pointe Lunch will feature an informative presentation by choreographer Lucas Jervies facilitated by Artistic & Executive Director, Robert Curran. Hear how this exciting psychological drama brings an intimate, innovative dance and visual art experience to life on stage!